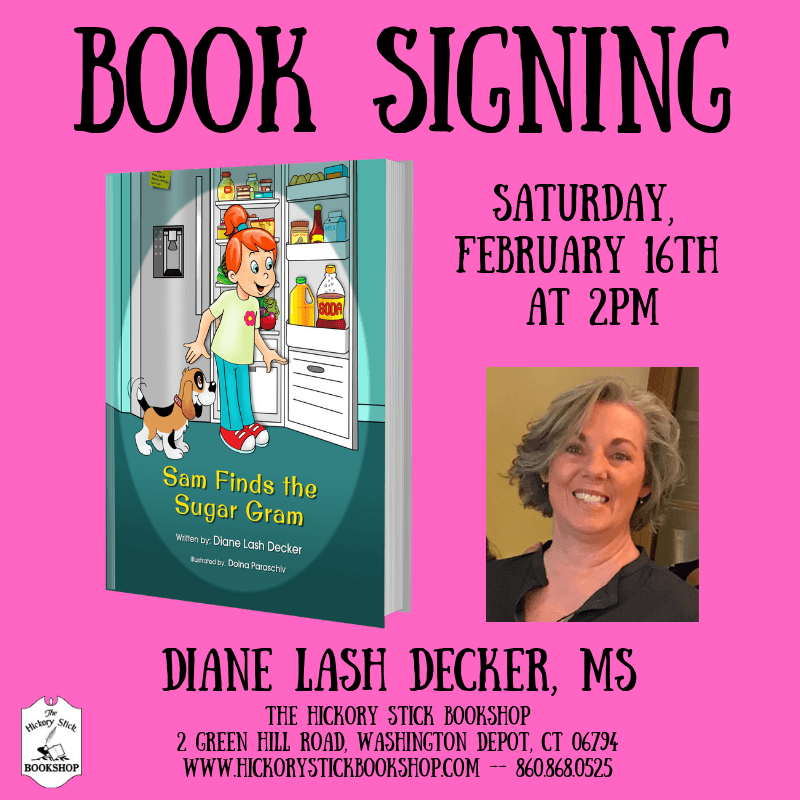 Nutrition Consultant and Author Diane Lash Decker, MS will sign her new children’s book, Sam Finds the Sugar Gram (Maple Leaf Publishing, $16.99), on Saturday, February 16th at 2pm at The Hickory Stick Bookshop. Sam Finds the Sugar Gram is a testament to Diane Lash Decker’s ongoing commitment to teach and empower children (and adults) about sweet food/drink choices. In the book, the unfamiliar sugar “gram” measurement is finally decoded using a treasure-hunt approach for uncovering the simple idea that four grams of sugar are the same as one teaspoon of sugar.